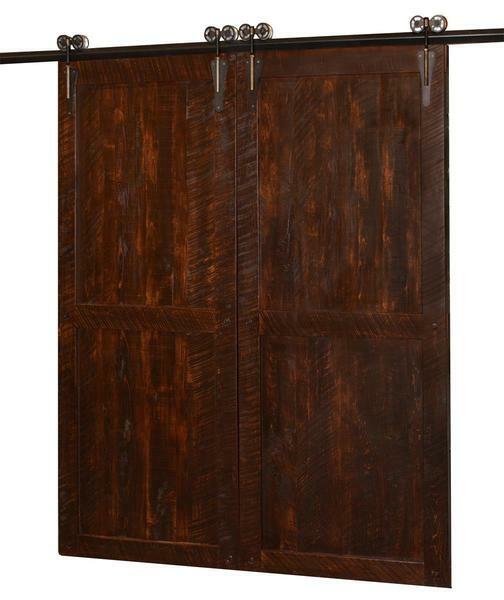 Our Double Timber Sliding Barn Doors are perfect for any grand entrance. Handcrafted by our skilled Amish craftsman these interior sliding barn doors create a seamless transition into any room. Built from solid wormy maple wood with a rough sawn finish, leaving the wood as close to the original cut as possible. Choose your choice of stain to compliment your decor. The ship fully assembled and ready for easy installation. For superior confidence, add a mounting board to attach to the studs in the wall. Simply attach the track to the mounting board and with the help of a friend hang the sliding barn door on the track.